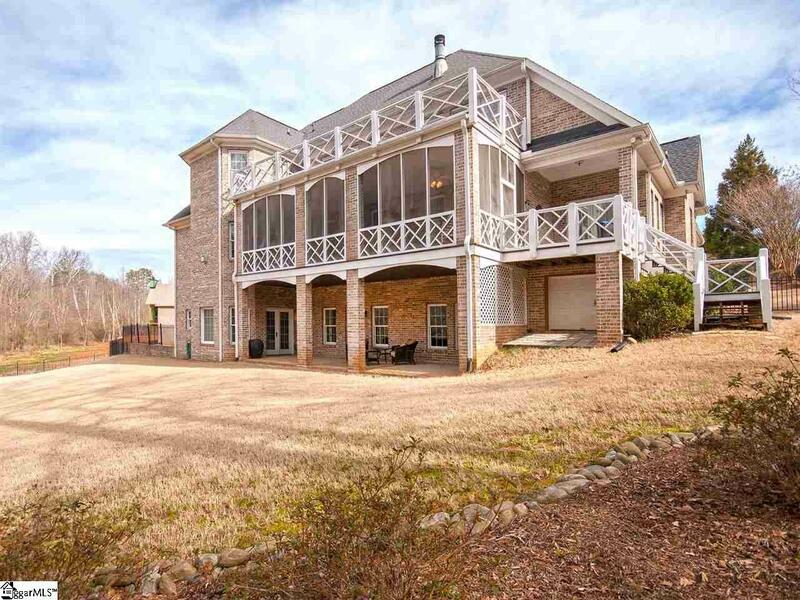 Beautiful 6 bedroom, 4.5 bath custom, one-owner brick home in Powdersville. 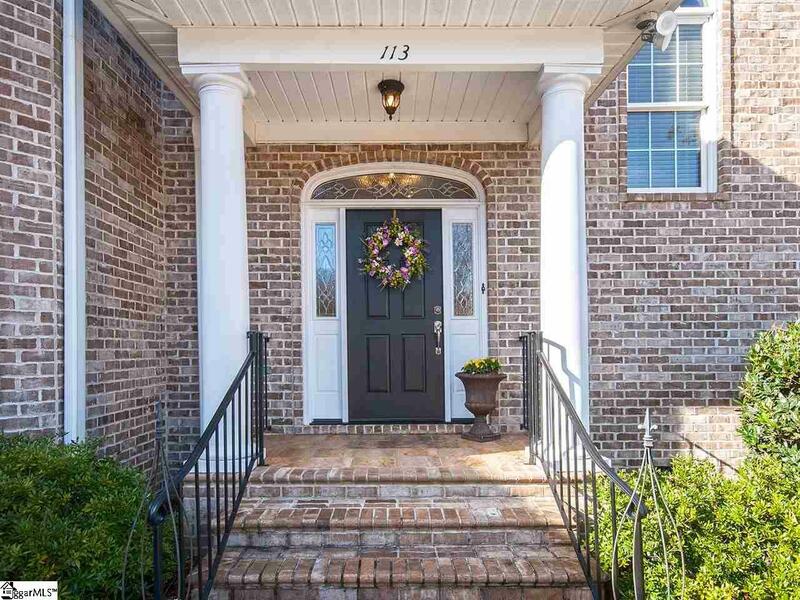 You will appreciate the quality and craftsmanship as soon as you enter the front door and step into the elegant, two-story foyer with magnificent hardwood floors and distinctive molding. The main level provides an open great room with surround sound, dual wood-burning fireplace, a spacious kitchen with custom cabinets, granite countertops, and gas range. Stunning dining room with illuminating chandelier and red-oak hardwood floors outlined in Brazilian cherry hardwood. A keeping room with wet bar is a great space for reading or intimate conversations. There is a convenient mud-room with built in storage and seating. Laundry room has a deep sink with cabinets for addl storage. Private master bedroom on main has a gas fireplace with built in seating, hardwood floors, decorative crown moldings, pocket doors and access to the screened porch. The master bath offers his/her large closets, double vanities, jetted bathtub, separate shower, travertine tiles and excellent cabinet space. 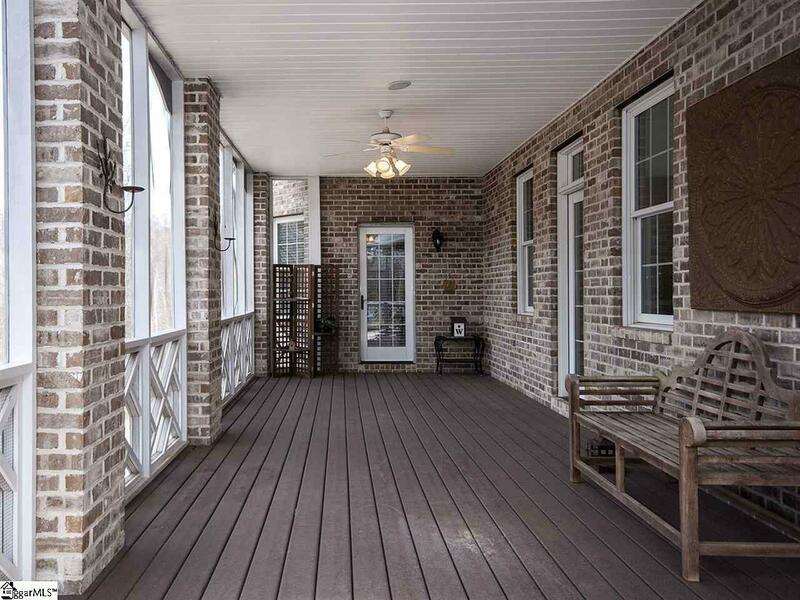 The second level has large bedrooms with strategically designed closet space, Jack and Jill bathrooms, and access to the upper deck overlooking the backyard. The basement has a Mother-in-Law suite, complete with full bath and kitchenette, a recreational room, and garage. This home sits on 1.1 partially wooded acres in the prestigious Hawthorn Ridge Subdivision with well-designed outdoor living areas, a 7-zone irrigation system, aluminum fence and lawn storage area. Zoned for the desired Anderson County School District 1, is conveniently located minutes from Greenville and Easley. 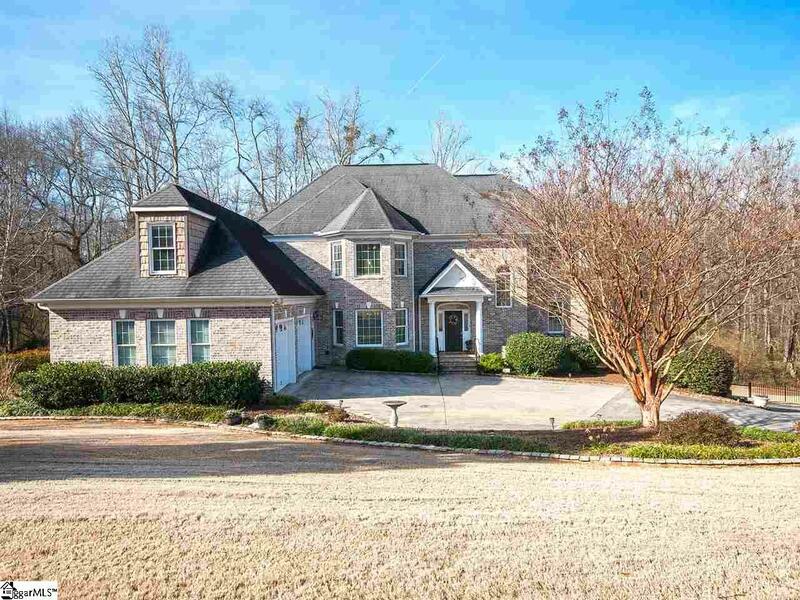 With easy access to shopping, dining and Interstate 85, this hide-away haven offers you the quiet country setting with quick access to all the conveniences to support your lifestyle. You must see this home to appreciate the elegance and attention to detail.